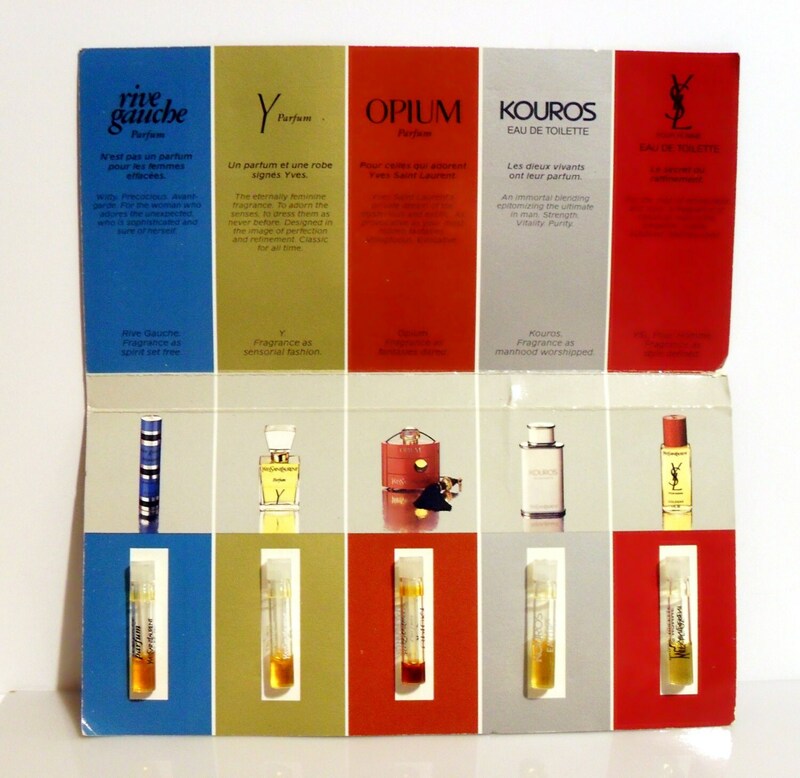 Vintage 1980s Vintage 1980s Yves Saint Laurent Perfume and Cologne Sample Vials on Large Promotional Card. 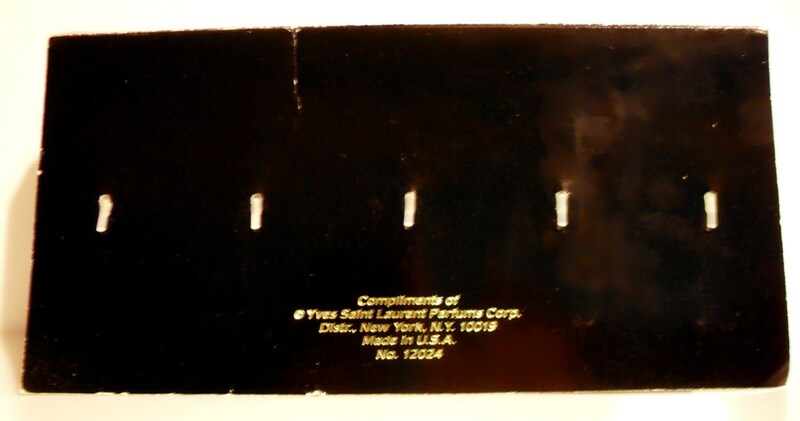 The vials range from about 20% to about 40% full - please see picture for actual fill line. 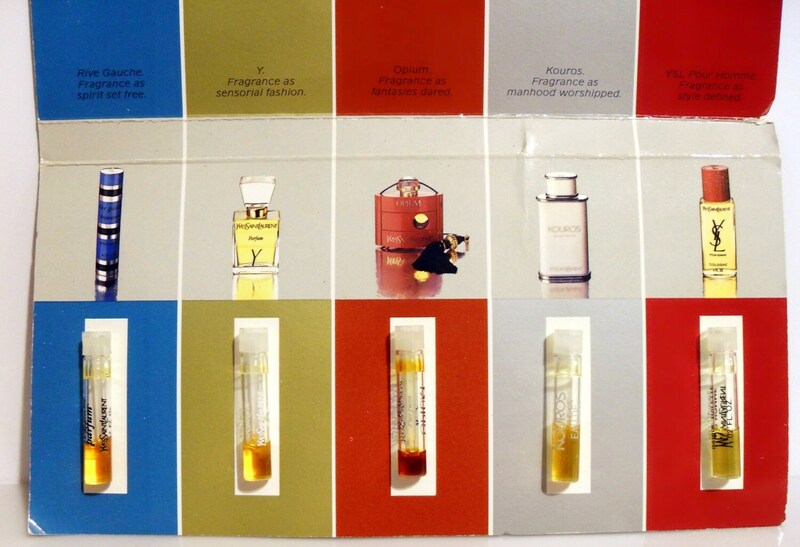 The perfumes and colognes are old and no longer fresh as they once were. This is being sold as a collectible only. 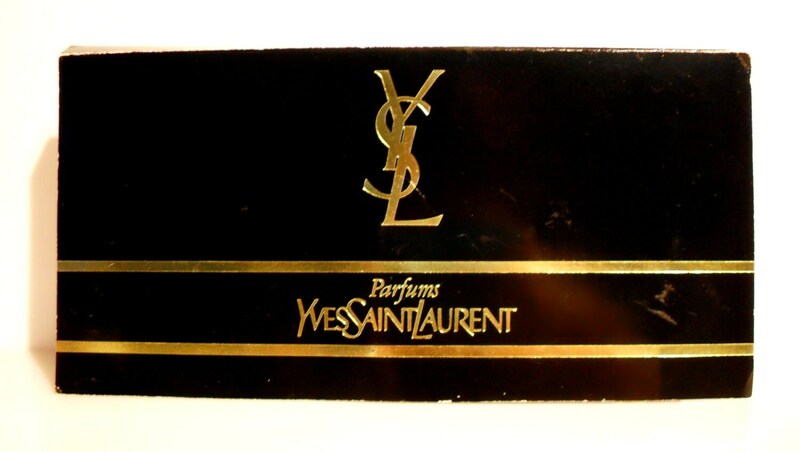 Launched in 1981, it is classified as a mossy, fruity chypre fragrance for women. It starts with a fruity, aldehydic top, followed by a fruity, spicy floral heart, resting on a sensual, woody, mossy base. This fragrance has been discontinued and can be hard to find.